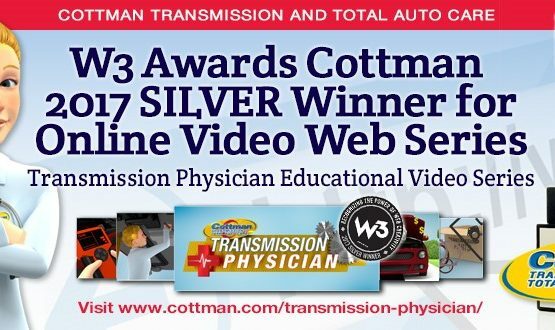 One of the most iconic personalities in the automotive repair market has been given new life and a new look: Cottman Transmission and Total Auto Care — a leader in the auto repair industry — has re-envisioned and revitalized The Cottman Man as an animated character into “The Cottman Man Educational Video Series”. Long respected for his trustworthy demeanor, The Cottman Man was the embodiment of every Cottman center technician: capable and honest; a friend in the auto repair business… the guy who was there to offer a hand when a car wasn’t living up to expectations. In his new persona, The Cottman Man will be the host on every Cottman center website, offering tips on auto maintenance and repair considerations, to help make informed decisions about auto repair needs. The animated Cottman Man will appear on the Cottman website, Cottman.com, on Cottman’s YouTube channel, and then from there, he’ll make his way onto the individual Cottman center websites. In his first series of animated short videos, The Cottman Man will provide checklists to help consumers recognize problems with a vehicle. Additional videos will come out later in the year and will introduce tips to help keep a car running right for years to come. Each video will be less than a minute long and will present complex issues in a friendly, easy-to-understand language. For more information, or to see the new, animated Cottman Man in action, visit the Cottman website online at www.Cottman.com/videos. Next Post Car Shaking When Shifting: Is It A Transmission Problem?